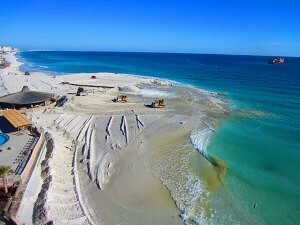 Walton County Coastal Management & Restoration | Taylor Engineering, Inc. 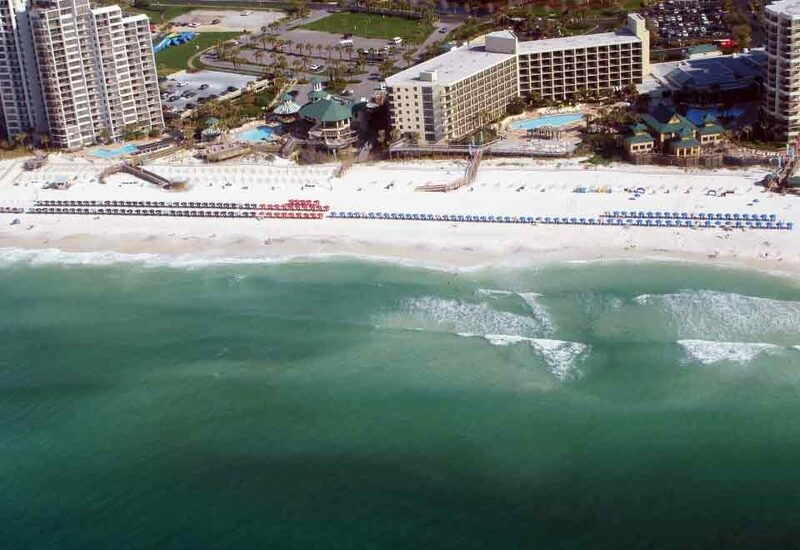 In 2001, Walton County and the City of Destin (within Okaloosa County), acting in partnership to facilitate regional beach management and realize significant cost savings, contracted Taylor Engineering to perform an integrated feasibility study for their combined 32-mile long beach along the Gulf of Mexico. 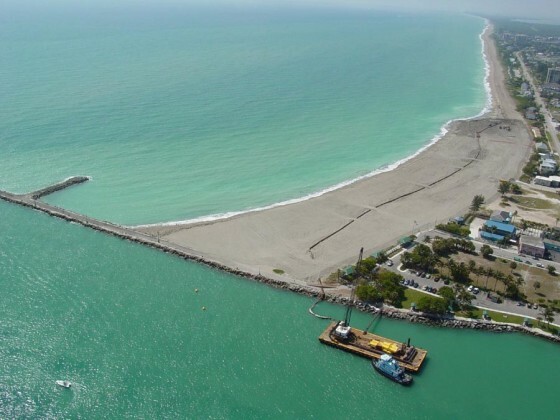 The coastal processes analysis portion of the study documented shoreline changes over the past 128 years, beach volume changes over the past 25 years, and overwash volumes during hurricanes Opal and Georges. Analysis of 20 years of wave and wind data provided input for wave- and wind-driven longshore and cross-shore sand transport models which established the long- and short-term sediment budgets. 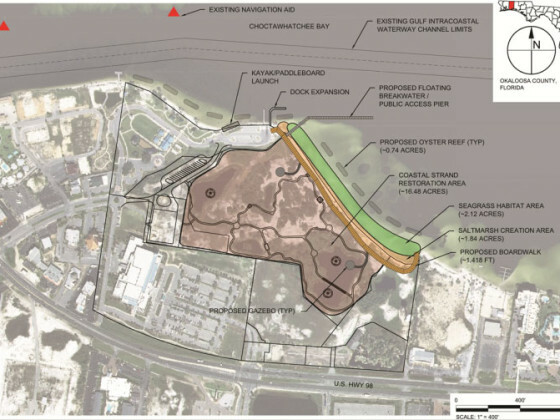 Integrating engineering, environmental, and economic elements, the feasibility study recommended beach and dune restoration along seven miles of beach in Western Walton County and Destin. The feasibility study also included a regional sand source investigation to characterize sediment deposits between the offshore 20- and 50-foot water depth contours to define potential borrow sites for beach management activities. Taylor Engineering developed and implemented an extensive multi-phase geophysical and geotechnical data collection and analysis program consisting of seismic profiles, vibracores, and side scan, magnetometer, and bathymetric surveys. 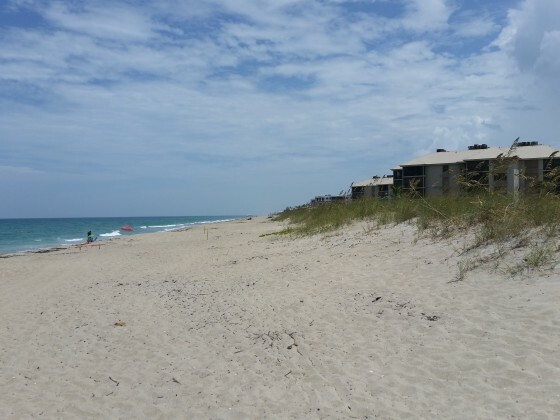 Taylor Engineering applied size, content, and color criteria to locate potential borrow areas with sufficient beach compatible sand. Given the large volume of high-quality material required, the East Pass shoal system was selected as the designated borrow source. 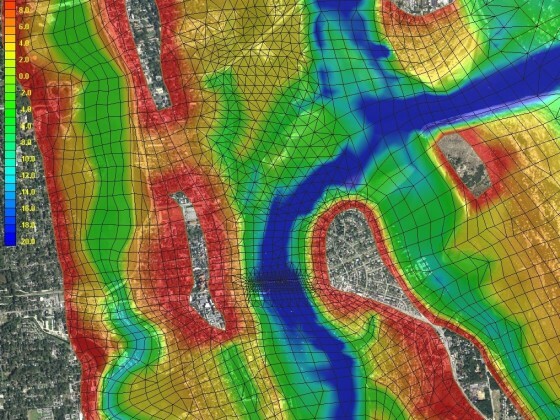 The innovative borrow site required extensive numerical modeling analysis to ensure the neighboring shorelines and the inlet system would not be affected by borrow area dredging. 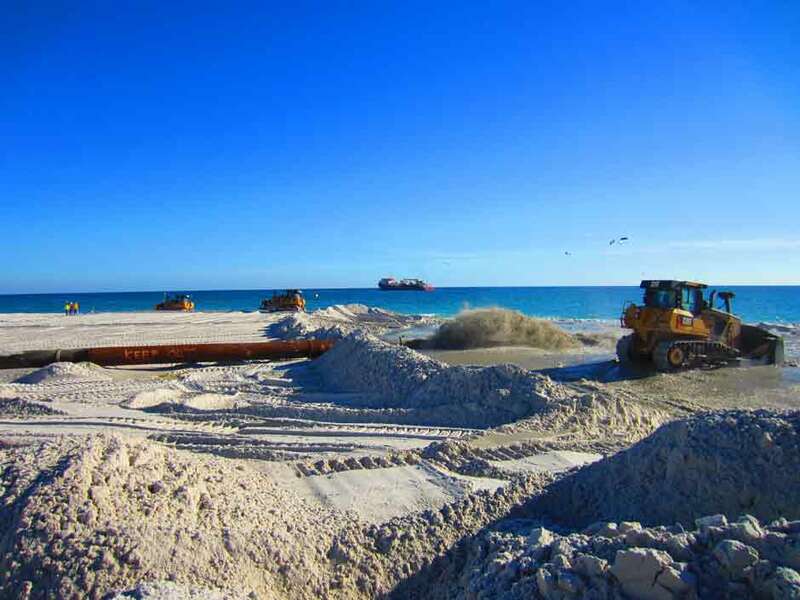 Following completion of the feasibility study, Taylor Engineering designed, permitted, and administered the construction of the beach and dune restoration project — placing approximately 3,000,000 cubic yards (cy) of sand along seven miles of shoreline during 2006/2007. 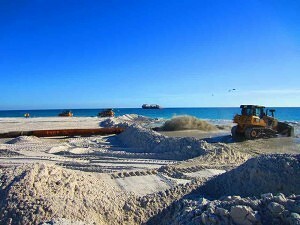 Project elements included design of the offshore borrow area and beach fill construction template; regulatory permitting; establishment of an erosion control line; redesign following severe storm events (Hurricane Dennis); preparation of technical specifications and construction drawings; assistance with bidding services; and coordination with federal, state, and local government agencies. At key project milestones, Taylor Engineering and the project sponsors conducted a sequence of meetings with technical review committees, citizens’ advisory councils, and public workshops to receive community input and to facilitate public education during the course of the project. The project successfully met all of the design goals including: • Mitigating storm-induced erosion following hurricanes Opal, Ivan, and Dennis • Increasing storm protection to upland properties via increased dunes, berm widths, and bar formations • Providing an aesthetically pleasing beach with increased recreational benefits • Providing increased critical habitat for nesting marine turtles and shorebirds The results also indicate the project design has effectively achieved and sustained the targeted pre-Hurricane Opal profile characteristics, including a wide berm and a large-scale, singular offshore bar feature. Further, the project appears to have reached a dynamic equilibrium, providing a stable beach in balance with the ambient coastal conditions. Notably, the American Shore and Beach Preservation Association named the Beaches of South Walton and Destin as one of the 2008 Best Restored Beaches. In conjunction with the post-construction borrow area monitoring, Taylor Engineering conducted extensive historical shoreline position and volume change analyses demonstrating that the project did not cause undue erosion or interruption of littoral transport within the vicinity of the East Pass ebb shoal system. 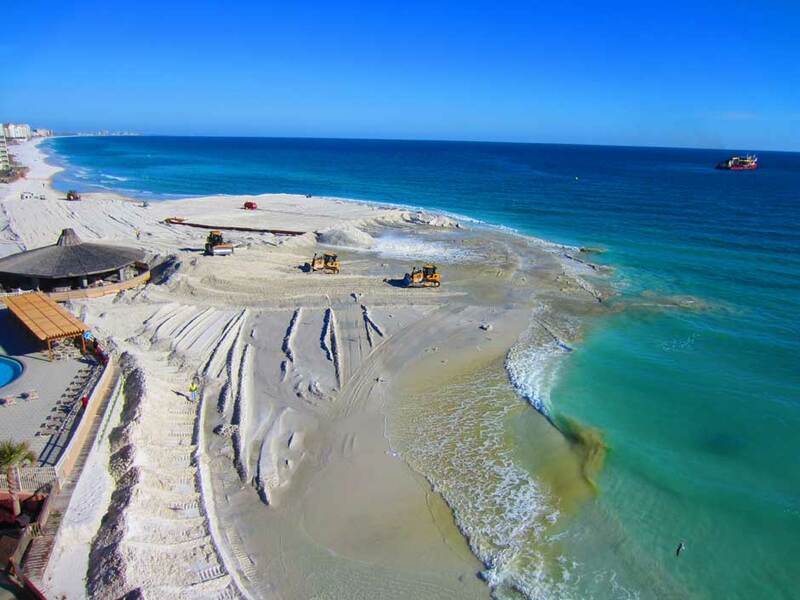 Consequently, Taylor Engineering successfully requested FDEP remove a specific permit requirement to place 50,000 cy of sand west of East Pass, eliminating the financial burden on Walton County and the City of Destin.